In the age of an overwhelming amount of content we face on a daily basis, whiteboard videos are capable to provide a different approach to video marketing. Here, simplicity is the key to success. Mainly, whiteboard animation is a great educational tool that can simplify a complex message and make it more engaging, as well as make a boring topic more entertaining. The step-by-step creative process makes it easy to present an idea, elaborate on it, and build a story around it. Not yet utilizing the power of Doodle Videos? 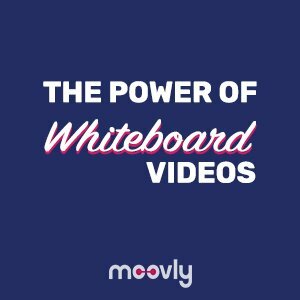 We at Moovly are happy to help you understand the importance of this video technique and master certain skills in whiteboard creation. Keep on reading to know more about this innovative, clear and concise way to share information. To start with, if there isn’t a hand to draw a story, it stops being a powerful whiteboard video, which can easily waste all your video efforts. Drawings should be born right in front of people’s eyes. A hand depicts a human touch that helps a viewer feel connected on a more personal level: they can follow the drawing process and be reminded of the old storytelling traditions, which is highly captivating, especially in today’s society. You no longer need to struggle to have a drawing hand for your whiteboard. It’s not anymore necessary to cut out an HD photo or buy a video of a drawing hand and make it look realistic through animation. It’s simpler than that! In Moovly editor, we introduce a variety of hand animations available for you to use. You can even pick any according to a gender or a skin color you would like to implement. Variety will give you an opportunity to create a more suitable video look around your story. For the longest time, storytelling was the main way of communication, and it’s still highly effective nowadays. Let’s be honest, nobody can resist a well-told story. To be successful in your storytelling, stay focused on your audience and their needs rather than your product features. It will help your audience to immerse in the story that’s being told in front of their eyes. Use your audience’s emotions in your favor! A strong advantage of a whiteboard video is that it’s dealing with a powerful memory element, our associations. Every time we look at a whiteboard, we travel back in time, and our minds automatically connect the moment to when a teacher explains a topic, mentioning the main points on the whiteboard. It all goes down to the educational association, and thus, will unconsciously draw attention of the audience interested in learning something new. It will, especially, save you when you need to explain a more complex concept. What could be more educational than scribbling on a whiteboard, right? When you watch a hand drawing on a whiteboard, your brain reacts as if you, yourself, are drawing it. Completion of a drawing brings that happy dopamine to your brain, as you think it’s you who finished drawing. This adds to the viewer’s desire to keep on watching and be glued to the screen, as well as to the viewer’s drive to follow up with the call to action at the end of the video. The only limit to your campaigns is your imagination. And, I’m sure that your ideas won’t let you down! Go and skyrocket the success of your whiteboard projects! Whiteboard animation videos are an essential tool for marketers trying to communicate complex concepts and ideas in a compelling way. 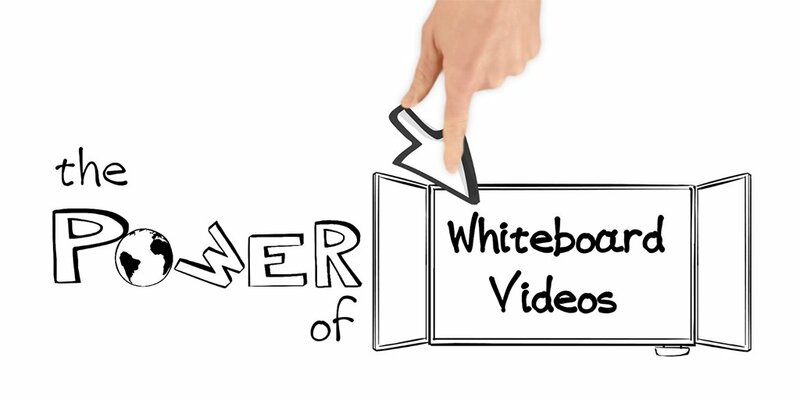 Through its simplicity, a whiteboard video manages to grab and retain attention till the end. Utilize the power of Doodle Videos and Hands Animations with Moovly! Whiteboard animation videos are an essential tool for marketers trying to communicate complex concepts and ideas in a compelling way. Read about the value whiteboard videos bring to your business and how to make it professional way.